My desk at work has slowly evolved into a paired-down essentialist work space. It started with a height-adjustable GeekDesk v3. I added a Ergotron desk mount for my external monitor. 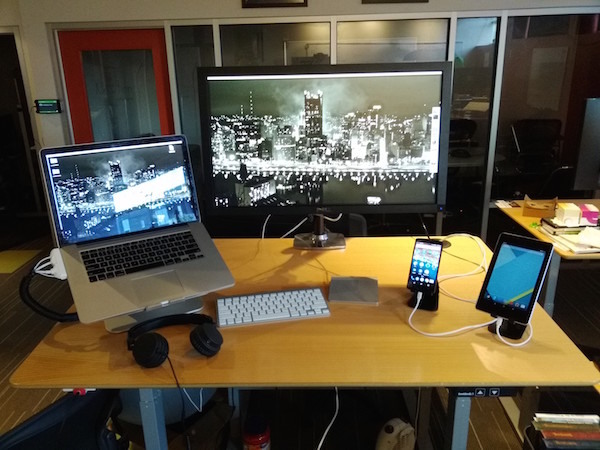 I also added a Rain Design mStand for my Macbook and several egalo M2 stands for my Android devices. With a set of bluetooth mouse/track pad my desk was complete. However I wanted to use our company 3D printer to make a few small parts to make my work experience even more streamlined. 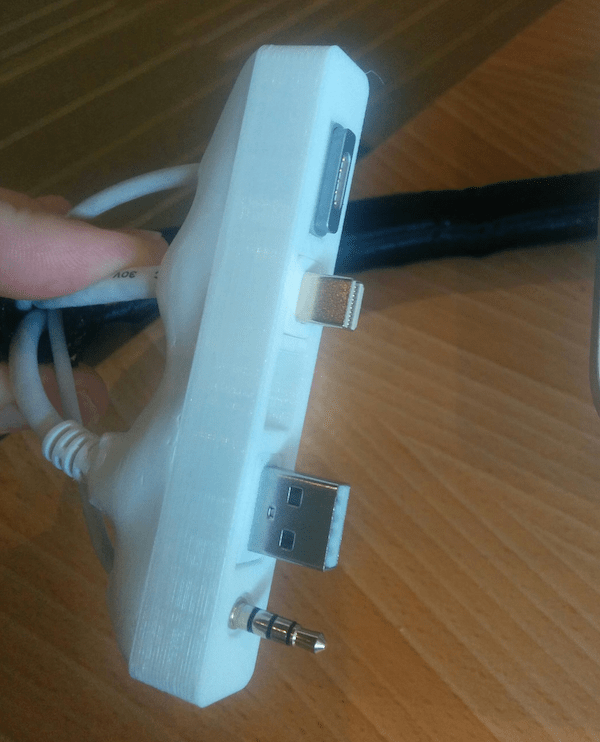 I created a plug that contains all of the cables for my Macbook: power, display, USB, and audio all in one plug. 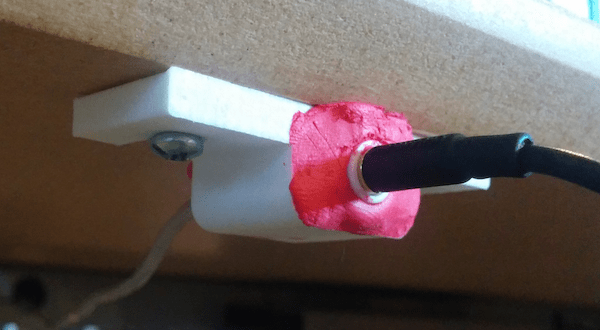 I set my computer down and connect in a single giant plug. 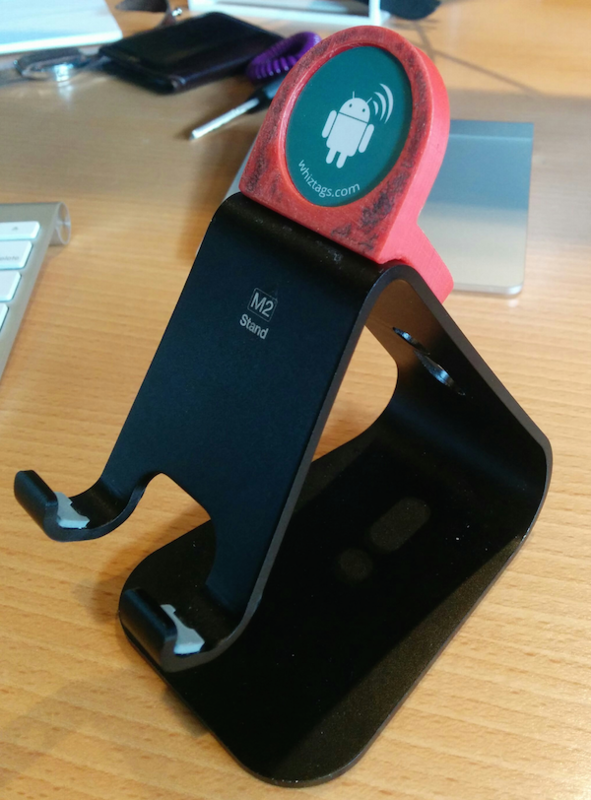 I also designed and printed a NFC tag holder that glues directly to the egalo M2 stand. Using the SmartLock feature on Android lets my phone stay unlocked as long as it’s resting on the stand. Lastly, I drew up a mount for a female audio cable that screws to the bottom of my desk. The female end of the cable is secured into the mount. The male end is part of the Macbook plug. Now all I have to do is plug my headphones into my desk and plug the cable into my Macbook and I’m all set. All of these parts are available to print on my Thingiverse page.